Since the early 1960’s the technology behind Low Level Light Therapy has been making waves. Light Waves. But within the last 50 years, the science, once proposed by Albert Einstein, who, in 1917 projected that electrons could be stimulated to emit light of a particular wavelength, has caught up to the technology, and has become Photobiomodulation. 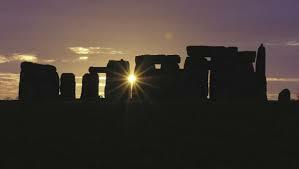 Light created Life, and has been worshiped by civilizations through out time. With out Light, we would not exist. In 2015 the term Photobiomodulation was added to the National Library of Medicine controlled vocabulary thesaurus to alleviate inconsistent terminology for Low Light Laser Therapy (LLLT). Based on recent consensus in the field, PBM and PBMT are now considered the terms of choice for this important and effective use of the application of therapeutic light. Where This Technology is Now. Since its beginnings in the early 1960’s, light therapy, or Photobiomodulation, has made great strides in technology, delivery, safety and effectiveness. There are many, many studies, testimonials, and research papers available to peruse, but finding a current source that provides information on the technology and the device that you are interested in, can be daunting, especially, considering that many manufacturers of Class 3b and Class 4 lasers units are not considered to be photobiomodulation devices. Photobiomodlation therapy is a non thermal process, effectively removing class 3b and class 4 units from consideration. To date, there is no evidence based research that supports the efficacy or effectiveness of these high power lasers, primarily due to the lack of and inability to create double blind studies on their effects, without heat. Where as Photobiomodulation has more then 5700 peer reviewed research and double blind studies. A recently published monograph, The Comparative Pillars Paper, shows that Multi Radiance Medical technology provides Treatment Without Limitations. Because of a synergy of multiple wavelengths, combined with Super Pulsing, this technology results in better absorption of light in deeper tissues, optimizing depth of penetration and minimizing thermal damage. True Super Pulsing (nanoseconds) allows for very high peak power with no increase in heat. Research has shown that the benefits of Super pulsing combined with the synergism of simultaneous wavelengths increases the depth of penetration and better cell response. How Can This Technology Help You? Research has shown scientists how Photobiomodulation works. After an injury, the body needs cellular fuel, known as Adenosine triphosphate or ATP to carry energy to the place where it is needed to heal. A PMB device, using specific wave lengths, directs light energy through the skin and to the injured cells, where the cells harness this energy. The more ATP the body can produce, the faster the cells can repair damage. This injection of fuel also helps tissues eliminate the inflammatory substances that cause pain, increases circulation and helps restore normal cellular function. Interestingly, recent research has shown that light can also enhance performance in normal tissues and cells. Our Relationship with light began when we first walked on this planet. It is about time the use of this energy became understood and available. 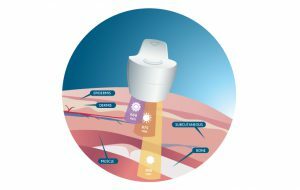 Photobiomodulation has evolved to become a true option for treating both chronic and acute injuries, reducing pain and inflammation and to promote healing. Veterinarians, Chiropractors, Oral Surgeons, and many Professional sports teams have been using and praising the benefits of photobiomodulation for years, and these third generation lasers are safe, effective, portable, user friendly and affordable. Remember, that the key to a successful therapeutic dose of laser energy is achieving the right combination of power, wavelength and time, allowing proper penetration, without causing harmful thermal effects. Through Scientific research and studies, Multi Radiance Medical has achieved a new modality of medicine that will continue to better the lives of all creatures that share the light of our sun. Great read on photobiomodulation ,I found this very helpful . There are a lot of educational facts here for chronic and acute injuries. This can help a lot of people in so many different ways. Being safe for use will comfort so many more people as they read this wonderful information. Thank you for your kind words Leo. I look forward to the day when Photobiomodulation is more accepted buy the health industry. I am sure it can help the abuse of opiods and NSAIDS, and I would love to see this technology in nursing homes and available to our elderly. Your site offers some new and exciting knowledge in the healing process. I am not a fan of needles and heavy doses of medication if at all possible. I really liked the diagram you provided showing the different types ailments that can be treated. Some of the descriptions of how this process works was a little over my head so to speak. Thank You Joseph for your insight. I am constantly trying to translate the medical jargon into language that we can all understand, so I appreciate your candor. Every article I write gets a little more understandable. 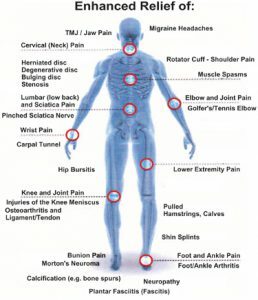 PMB Therapy is an amazing modality of medicine, and I look forward to the time when the general medical population embraces it for the non invasive, effective and affordable treatment for pain and injuries that it is. I had never heard of photobiomodulation as a tool for healing injury. So as I understand it, the light therapy causes the cells to create ATP which it needs to heal itself. You are basically stimulating your body into creating extra ATP so it will heal quicker than normal. It would be interesting to read some testimonials from people who have done this. Thank You Jen, Yes, this newest technology is used by chiropractor, oral surgeons, veterinarians, and many sports teams world wide. I use it often on myself and my pets.. and believe it or not, I would not be able to type this with my arthritic fingers if it were not for Photobiomodulation.. A new study was just published and I am working on a blog as we speak about it… it is very exciting. Hi – thanks for the article. So, when I was receiving “cold laser” treatments from a chiropractor, it was on the basis of this science? or is what you describe different than the cold laser? I know the basic idea was to stimulate the cell to heal and for tissue to regenerate. I’m not entirely clear on how this is something that hasn’t been able to be studied, I thought products like this available as medical devices had to be supported by research and clinical trials? thanks for helping me make sense out of this! Hi Penelope.. yes, chiropractors have know of the power of healing light for a long time and learn it in school.. The unit your chiropractor is the same science, but the new technology has allowed the removal of the damaging heat by-product that the earlier units have and now we have a totally safe and more effective unit that is portable user friendly, effective and safe. (and available to the public). There is SO much research and trials on the new devices, one that was just released..yesterday that shows how much more effective this new technology is then the old ones.. check it out! and share it with your chiropractor..! Thanks for the comments!